Standing Pat: Tony Harris’ NHL100 rendition of Pat LaFonatine. OTTAWA — A hundred years after the National Hockey League was born in Montreal’s grandest hotel, the Windsor, the league went back to where it all began in November. The hotel is gone, but the adjacent train station is still there, next door to the Montreal Canadiens’ home rink at the Bell Centre. 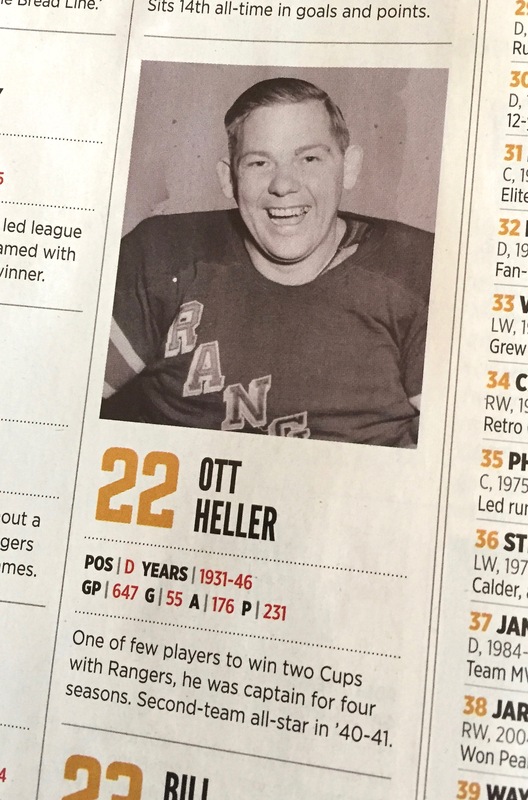 Gathering there — on paper, at least — are the 100 players deemed to be the best to have played in the NHL. 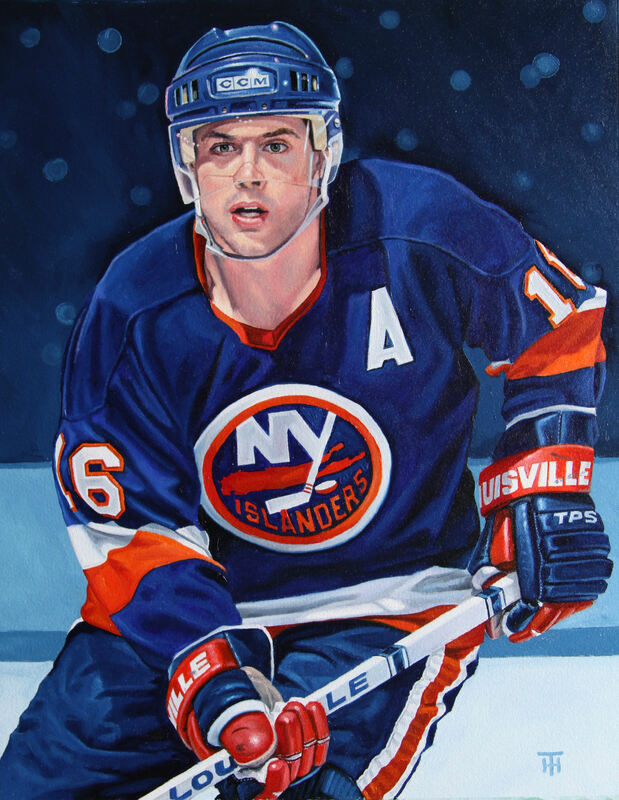 For the past year, the artist Tony Harris has been at his easel trying to translate the speed and color and glory of hockey through paint and paper. 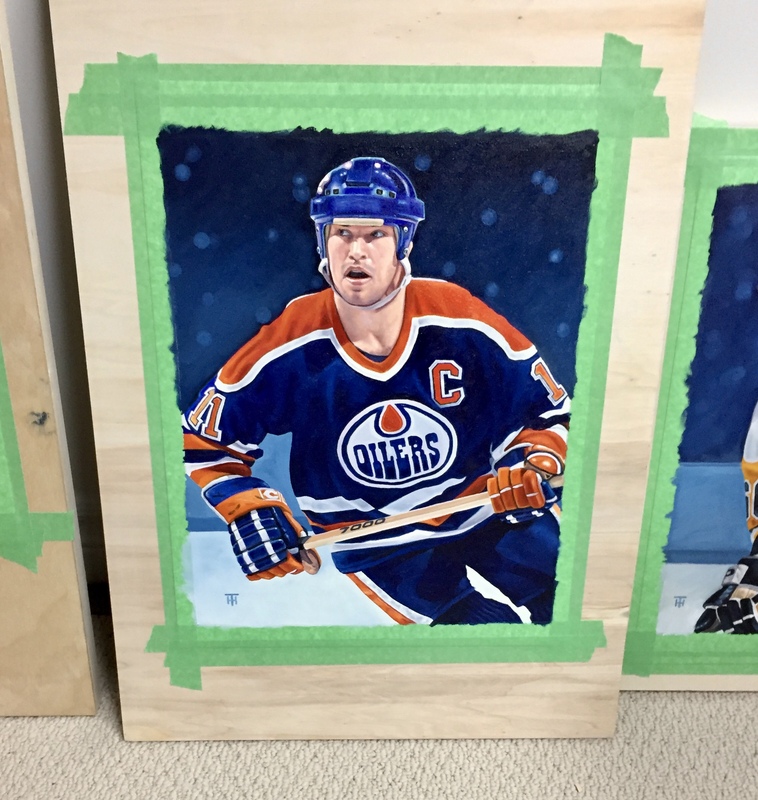 In mid-November he finished the final two 11-inch-by-14-inch portraits, depicting Montreal Canadiens speedy winger Yvan Cournoyer and the inimitable Wayne Gretzky in the Edmonton Oilers’ blue and orange. Over the weekend of November 18-19, all 100 paintings will be shown together in public for the first time. A panel of 58 hockey insiders voted on the top 100 list, which was revealed in January. A certain amount of debate ensued. Whither Frank Nighbor? Where have you gone, Joe Thornton? No Evgeni Malkin — really? 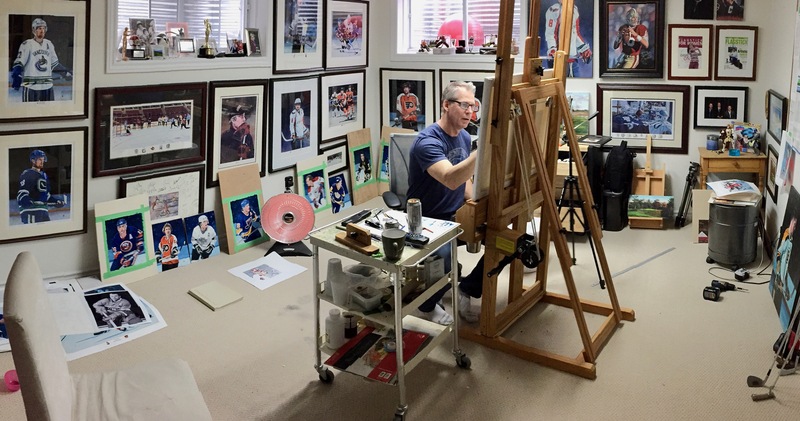 Since the NHL announced the art project in February, two new paintings have been posted on NHL.com each Monday. Studious: Tony Harris at work in his Ottawa studio in February of 2017. The studio at Harris’s Ottawa home claims a basement room that the morning lights through high windows. A wall-filling TV is tuned, always, to wherever in the world there is a golf tournament. I was at school with Harris, a couple of years behind him, and I can vouch for his goaltending chops: he was good. Set amid fields and forests, next to a lake called Katchawanooka, Lakefield College School is known by those who are fond of it as the Grove. As the son of a beloved English teacher there, Harris grew up on campus at the private boarding school before he started as a student there in grade nine. Two of his mentors at the Grove were teachers who meant a lot even to those of us who didn’t end up painting portraits or skating on NHL ice. Bob Armstrong taught History and Economics. A former NHL defenceman for the Boston Bruins, he was also the hockey coach. The transition to hockey did not happen all at once. 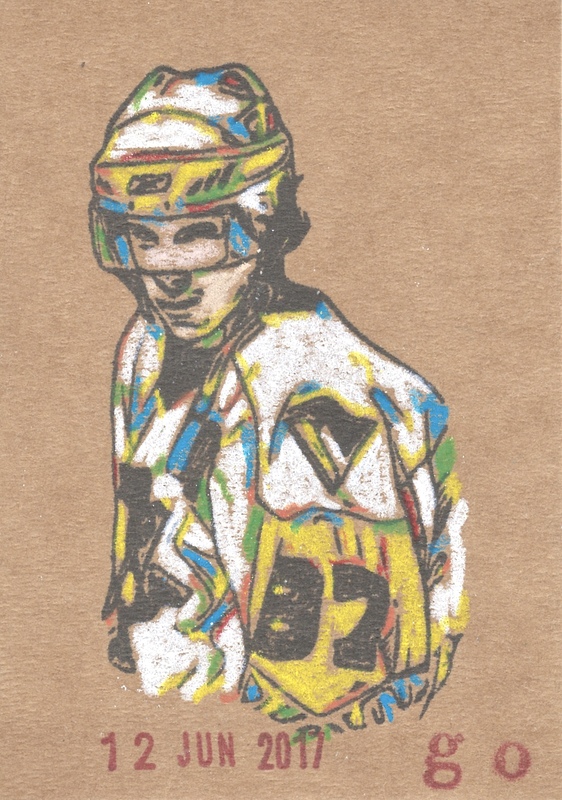 It was accelerated around 2006, when Harris painted a portrait of Orr from a photograph he had seen on the cover of Stephen Brunt’s book, Searching For Bobby Orr. To Harris, the picture was remarkable because it looked like a painting; the realism of his painting wowed those who saw it. Soon Harris was painting less grass and more ice. His commissions for the N.H.L. 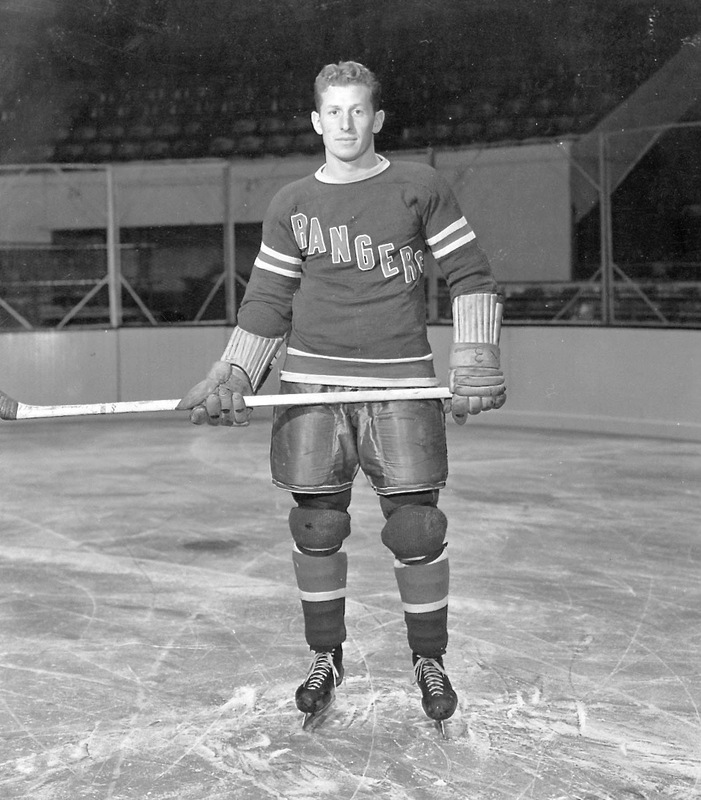 Players’ Association came to include an annual portrait of the winner of the Ted Lindsay Award, given to the league’s outstanding player as voted by N.H.L.P.A. members. More and more, he was getting calls to commemorate career milestones for players in Ottawa and around the N.H.L. When the Senators’ Chris Phillips played his 1,000th N.H.L. game in 2012, the team presented him with a Harris portrait that showed the defenceman fending off Ovechkin, Crosby, Lemieux, and Gretzky. Phillips, who retired in 2016, now has three Harris prints hanging on his walls, and has commissioned paintings of the Canadian prairies where he grew up. 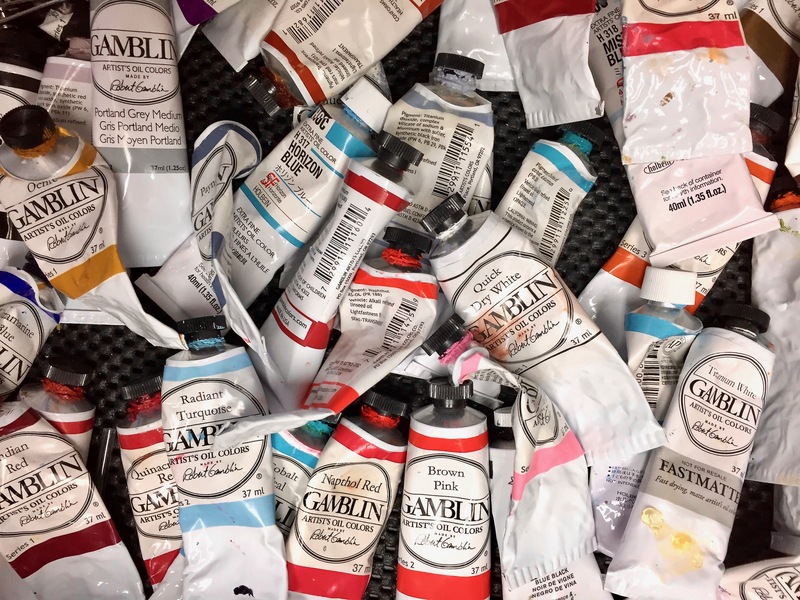 Colourings: A view into Harris’ paint drawer. As reigning Stanley Cup champions, they had been invited to visit the White House. The team had prospered during President Barack Obama’s two terms, making two previous White House visits after their 2010 and 2013 championships. President Obama already had plenty of Blackhawks swag; this time he was going to get a painting. He would rather recall the simple pleasures of doing the work, and the distractions he will continue to savour. 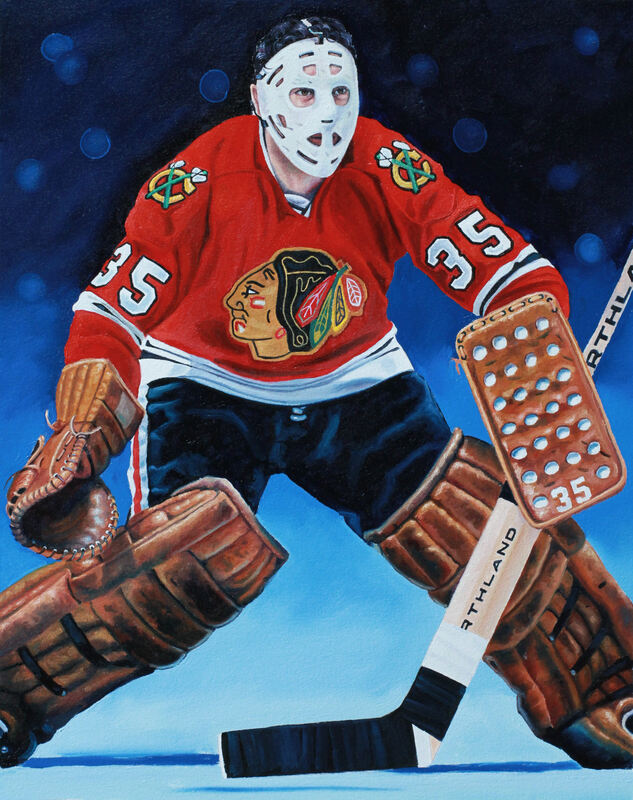 Out of the blue he got a call from Tony Esposito, who is among the 100 along with brother Phil. They talked for 15 minutes. In November, as he approached the last brush stroke, Harris contemplated what it all meant to him, what he had achieved. 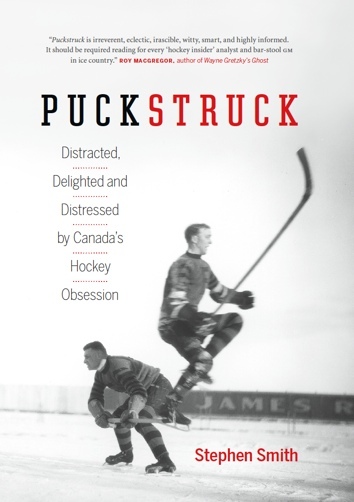 Namesake: Harris’ portrait of Tony O, his childhood hockey-card hero. Sidney Crosby was home in Nova Scotia today, his 30th birthday. He spent the day showing the Stanley Cup around, joining a parade through Halifax first before travelling up to Rimouski, in Quebec, where he played his junior hockey, for a quick how-do. Asked this week about the ageing he’s undergoing, Crosby dutifully answered that 30 is “just a number.” Facing the inevitable follow-up — does he have any grey hairs? — the erstwhile Kid is said to have smiled. Playing the numbers game isn’t hard with Crosby. After 12 exceptional NHL seasons, the man has plenty to recommend him, even if you agree to a birthday exemption on playing up the troubling tally of four confirmed concussions. Totted up his first 1,000 points in 757 games! Won three Stanley Cups! Two Conn Smythes! 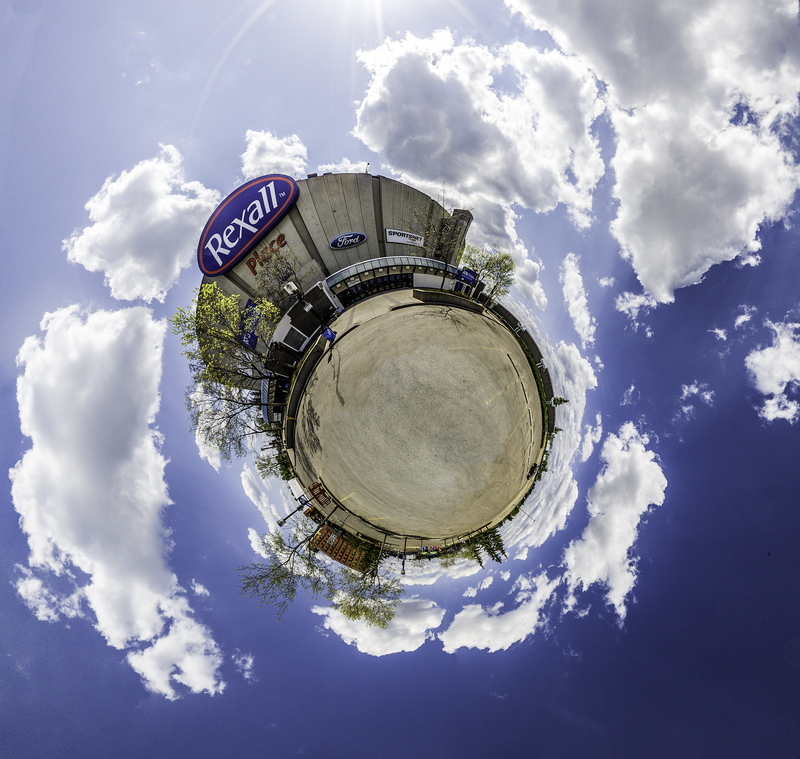 Collected manifold Art Rosses, Rocket Richards, Lionel Conachers, Lester B. Pearsons, Baz Bastiens! Not to mention Olympics and World Cups! The full list of notable statistics, trophies, and accolades runs much longer, of course. And for those who’d rather advance into the thickets of hockey analytics, help yourself. If Crosby’s dominance of the moment isn’t in doubt, this latest Stanley Cup has fuelled an increase in discussions of the longer-term and more subjective question of where Crosby fits into the pantheon of all-time greats. Can Crosby be considered one of the top five players of all time? I think we can all agree that if you posed the question to Crosby himself, he’d let it expire in small talk if not outright silence. And why not? Debates about the best of the best across the eras are all in good fun, causing no harm, I guess, but that doesn’t mean they’re not more or less ridiculous, given how short our memories are. Where once there were those who could (at least in theory) be counted on to judge the whole spectrum of NHL hockey talent because they’d personally witnessed the league’s entire history, there’s no-one, today, who has the personal experience to argue the merits of Howie Morenz over Mario Lemieux’s. It’s nobody’s fault, but it does help explain why, earlier this year, when the NHL paraded its list of 100 Greatest, the absence of players like Frank Nighbor, Sprague Cleghorn, Frank Boucher, and Aurèle Joliat (among many antique others) was barely noted let alone pilloried. That doesn’t mean the top-five debate won’t go on, of course. In June, Rick Carpiniello got in on it at MSG Networks by declaring his leading men (in order): Wayne Gretzky, Bobby Orr, Mario Lemieux, and Gordie Howe. And number 87? Whereas (Carpiniello wrote) “Crosby is the best player of his generation, without a doubt, a slam-dunk future Hall-of-Famer, and he will be among the short list of all-timers when he’s done playing, if not sooner,” he wasn’t ready yet to add his name to the uppermost echelon. Crosby is going to have to work for it, he says, over a number of years if he wants to supplant Mark Messier, the subject of a 1999 biography of Carpiniello’s called Steel On Ice. We all know the top four: Gretzky, Orr, Howe, Lemieux. Put them in what order you wish, but have Gretzky first. After that, in no particular order, I’d stick in Bourque, Sawchuk, Béliveau, Harvey, Roy, and now Crosby. 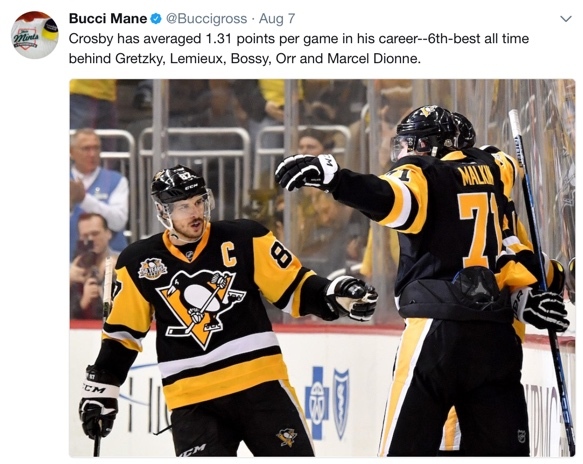 What’s more, I’m not sure that Crosby isn’t fifth. He’s the best player since Lemieux, truly generational. He’s not merely the best player since Super Mario: it’s not even close. “Is the greatest hockey player of all time at this podium?” we wanted to know. 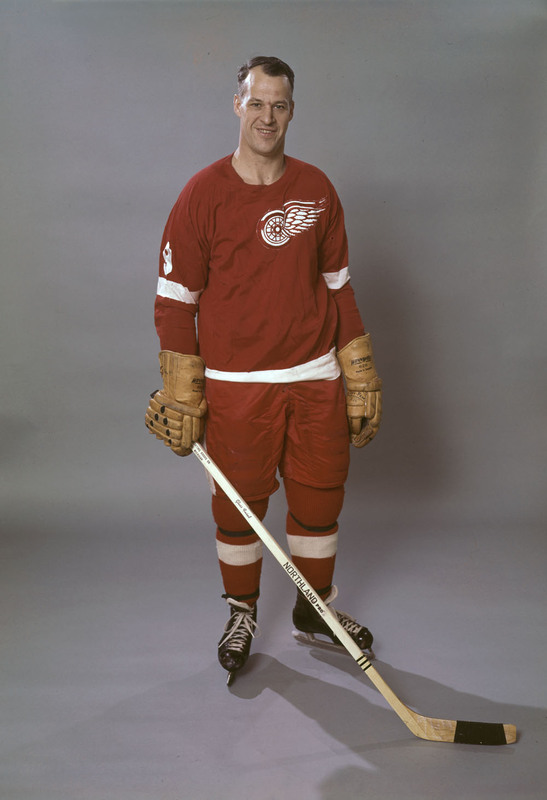 The consensus of all three: Mr. Hockey, Gordie Howe. You can debate their answer. They weren’t about to. Heck, if these three weren’t qualified to answer this, who then? “Absolutely,” added Orr. “Gordie is in my mind the best that ever played the game. I’m not sure if we’ll ever see another one. I sometimes sit and look at his numbers. As I sit sometimes and look at the numbers that these two guys put up, I think, how in the world did they do it. Asked for an opinion on the best player still on skates, all three men agreed that it’s Crosby. Added Gretzky: “I agree with Mario, everything he said. He’s the best player in the game. He’s earned that mantle, and his work ethic is as good or better than anybody in hockey. “We encourage, and I know Bobby is very close to Connor (McDavid), that that’s the guy that he’s chasing, and Connor sees him in his vision, and that’s what makes the game wonderful is that you want to be as good as the best player. Stamp Act: Canada Post launched its newest line of hockey stamps this week with six sticky-backed forwards. “The 2016 NHL® Great Canadian Forwards stamps highlight some of the greatest goal-scorers ever to play in the NHL,” the press release touts, and yes, it is an impressive cadre: Phil Esposito, Guy Lafleur, Darryl Sittler, Mark Messier, Steve Yzerman, and Sidney Crosby. Hard to fathom how the crown corporation came up with this particular group. 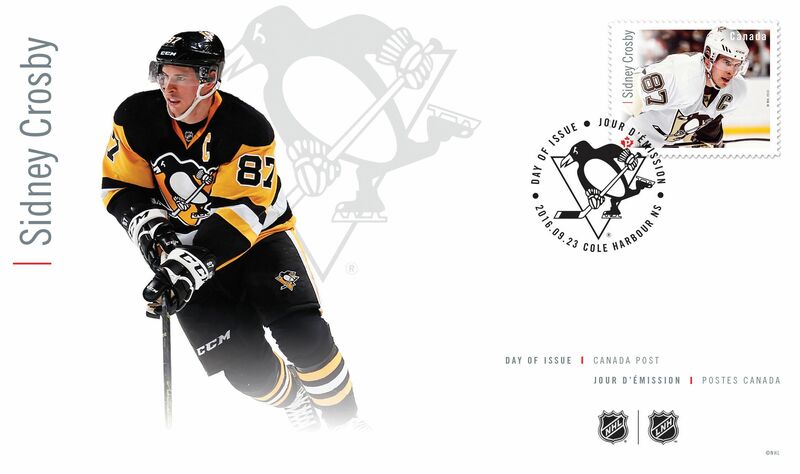 Crosby, of course, is a natural — who wouldn’t want Canada’s own captain on their lettermail? But if it is indeed meant to reflect distinguished goal-getters, then why no Wayne Gretzky, best of them all? He already got on a stamp, of course, in 2000, so maybe that’s all he gets. Same with Gordie Howe and Marcel Dionne, the next ones down the all-time list of high-scoring Canadians. If that’s how the choosing was done, statistically, then, yes, Phil Esposito is deserving. But what about Mike Gartner, who outscored both Messier and Yzerman? Nothing against Lafleur, but he’s way down the list, well below Mario Lemieux and Luc Robitaille. Is that really fair? And what about Dave Andreychuk? How do you think Andreychuk feels knowing that Sittler got in ahead of him having scored 170 fewer career goals? How would you feel, philatelically speaking?